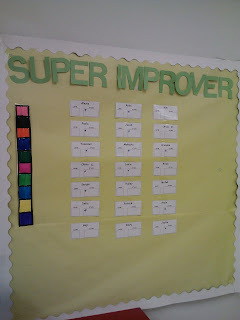 Adventures with Whole Brain Teaching: Super Improvers!! 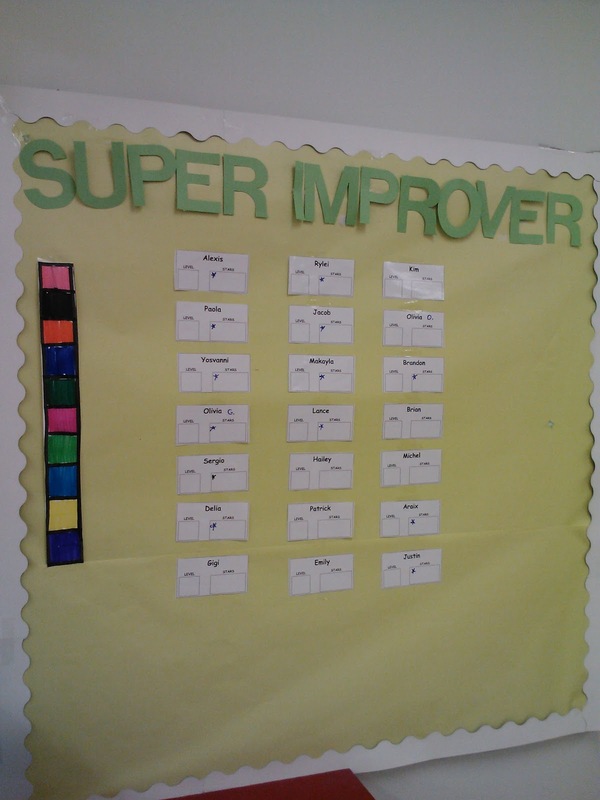 "What is the Super Improver Wall, Mrs. Folsom?" said my class in unison. Last weekend my husband and I went into my classroom to create this amazing tool!! It is a wall with a color code bar, and a card for each student. On the cards there is a box for stars and a box for the color level they are on. For every ten stars they receive they get to move up a level. Some levels have leadership roles, other levels are photo levels where I put their picture on the board. It's awesome!! "How do we get stars?" they asked. I made them inference, using the name of the board. Their conclusion was that they had to improve. "What do you have to improve at?" I asked. They proceeded to talk and came up with that they have to improve at everything. 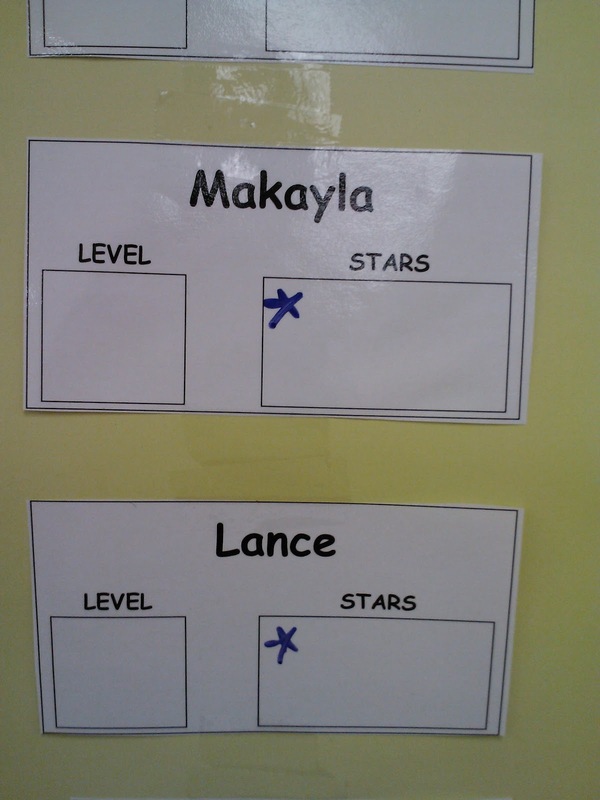 I explained that I will give stars when I notice students are improving whether it be in academics, or on our procedures such as following directions quickly. It has to be a major improvement. We also discussed how this is not a competition between friends, but that we each have things we need to improve on. We are competing against ourselves. 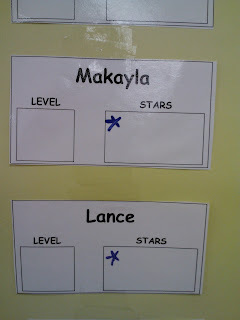 Now, when my students notice that they got a star their friends say, "Way to go, you are a super improver!" or they remind each other, "remember to be an improver!" It's incredible to see them encourage each other to be better.